Comment: Is the new Astra on your shopping list? The Vauxhall Astra has always been popular, whether in retail or fleet, but would you really want one as your company car? While competent, it has perhaps always been overshadowed but the Ford Focus from a driver enjoyment perspective, while the Volkswagen Golf has usually felt a bit more upmarket, in image if not always on interior quality. 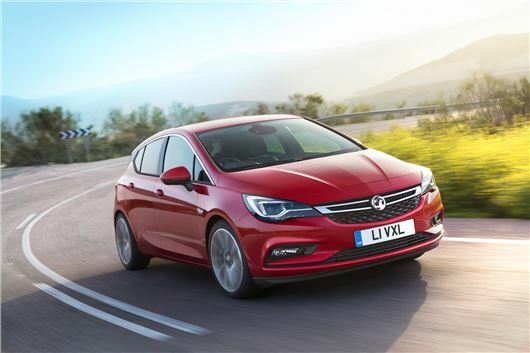 But for drivers who need a medium sized car that will do the job well enough, and where a large fleet has the purchasing power to buy outright, the deals on a Vauxhall Astra have always been pretty compelling. This is where you as a driver have a choice restricted perhaps to colour. Your company will give the the engine and specification it decides is appropriate. The fleet sector combines a number of different elements. Although it makes up just over half the new car market every year, and numbers more than a million vehicle registrations, if we exclude daily rental vehicles, Motability, and 'captive' fleet cars (where if you were an employee of a car manufacturer and your company vehicle was restricted to that car manufacturer), what's left is 'true fleet'. Those 'job-need' cars that you have little choice, plus a big number of user-chooser vehicles. It's in the latter area where Vauxhall thinks there is potential for the Astra. Currently, the Vauxhall Insignia is the top of its sector in fleets where drivers get to choose their company cars, while the Astra Sport Tourer, the Mokka, the Zafira Tourer and the Corsa are placed second. The current Astra hatchback is fifth. There is a lot of ground to make up, but Vauxhall believes this Astra is the one to do it. Running costs will be lower, not only because of more efficient engines, but because specification improvements combined with price cuts should give the Astra better residual values. Vauxhall has already implemented this strategy with the Insignia and the Corsa, and it appears to be sustained. If your employer buys cars outright, it will get a better return when it's time for the Astra to be sold. Or if the car is leased, the monthly payments should be lower than with its predecessor. Engines have improved fuel economy and lower CO2 emissions, while Vauxhall will launch an 82g/km version in 2016. And unlike the Golf Bluemotion and Ford Focus Econetic, which take a fraction of sales within their respective line-ups, the low CO2 astra is expected to account for around half of those going to fleets. The fleet-favourite Tech Line equipment grade is continued in the new model, providing standard sat-nav as well as a few other features seen as important to company car drivers. Vauxhall believes there is greater potential to grow with SRi and Elite versions too. Price cuts will also help here, because of the impact on company car tax - the car's P11D price being one of the important elements of the calculation. So the ingredients are there for the Astra to succeed. It just needs to capture the imagination of you company car drivers.